Most canes today are strictly utilitarian. They are being sold widely in most stores, and they are not aesthetically pleasing to see. Many of them are ergonomically uncomfortable to hold for an extended period of time, and they can cause an additional issue to the hand nervous system. 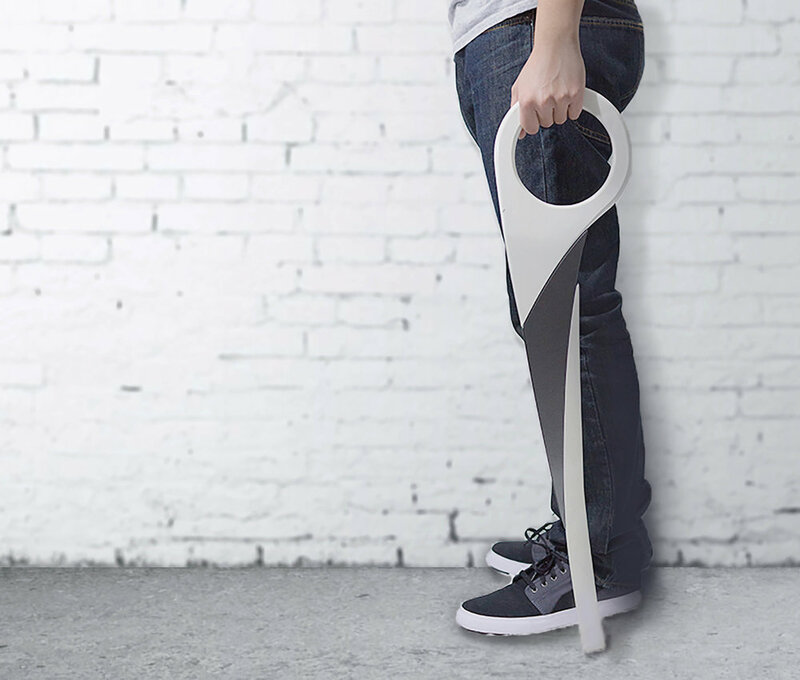 They make from lightweight aluminum rods which are easy to manufacture and required fewer processes to go through. Other conventional materials are also wood and plastic. Ideation stage is to come up with many designs that address not one but many possible solutions. Next step is exploring the variety of shapes and forms that help solving the problem with as little designs as possible. My mock-ups focus mainly from my inspirations: adjustability, modular, and elegant. Material choices are important during this stage, an easy manufacturing process is important but must not compromise the quality of the final product. People like to have choices so by utilizing the modular design of the final cane product. People can customize the canes in different ways like matching their favorite colors, their team favorite colors, or different materials. 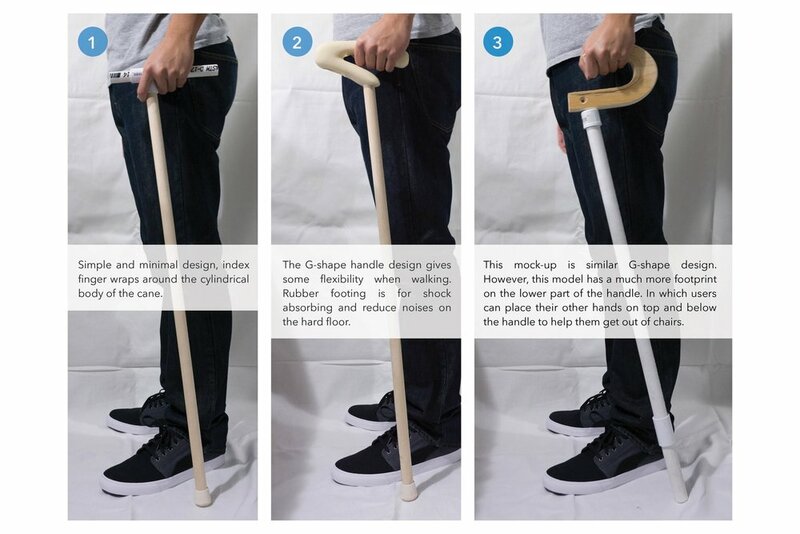 Modular design cane, it can be customized based on user needs. 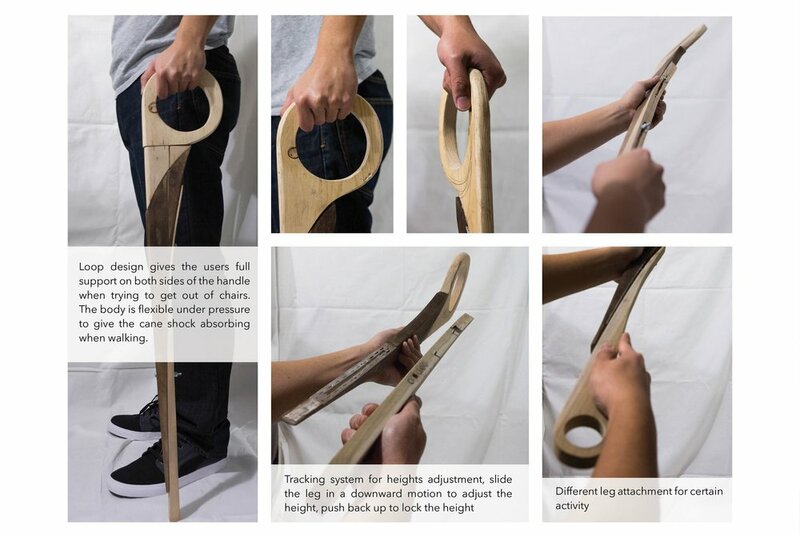 The handle, body, and leg are detachable so they can be exchanged to use with different designs, materials, or different configurations.